John Schumann and Shane Howard: Songs with a message. Photo: Supplied. The timing could not have been better for a gig titled Songs For Times Like These involving two of Australia’s most prominent singer-songwriters whose thumbs have been dipped in political tar. 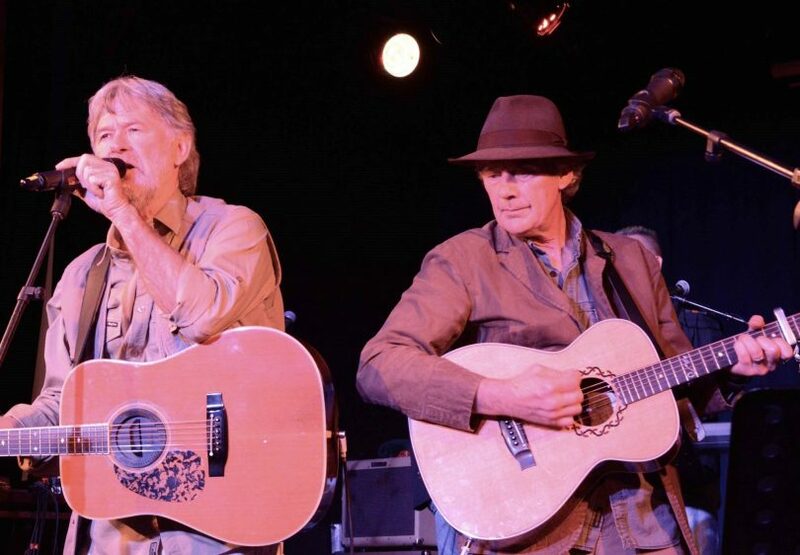 John Schumann and Shane Howard – or as Schumann calls them, two opinionated grumpy old blokes who refuse to shut up – will bring a catalogue of songs to the National Folk Festival at Exhibition Park this Easter that work just well as now as when they first wrote them. On one hand it’s a tribute to their timeless and universal nature, but on the other, says Schumann, it is disappointing because the battles they thought had been won in the 1980s are having to be re-fought and others such as the state of Indigenous people remain unresolved. And then there is the environment, our society’s devouring of resources, and ‘the big giant killer of environmental issues which is climate change’. Red Gum’s Schumann and Goanna’s Howard, firm mates who go hand-in-glove, have worked together for years and will deliver a set together with the ‘sensational’ Red Rockin Dirt Band, sharing parts in each other’s songs, plus a bit of banter, no doubt about the election campaign. “We’re two poets out there having another crack at shaking Australia by the shoulders,” says Schumann. It’s a message that should play well but hecklers be warned – they’ll have the microphone. Schumann says the set will range from full-on band arrangements to simple stripped back numbers, with iconic songs like I was Only 19, Solid Rock, and more recent ones like Times Like These from Schumann’s latest album on which Howard also performs. Interestingly, that other great songwriter of Australian war experience, Eric Bogle, is also performing at the National, so it begs the question whether we could see Schumann and Bogle, who know each other well, get together. Not on stage, says Schumann, who has produced a couple of Bogle’s albums but admits to a different musical sensibility. In the meantime, he would hope they can get together and ‘take string drink and exchange wit’. But you never know, anything is possible at the National, especially at the Sessions bar. For more information and the Festival program, go here. Folk music is for folks like you, see you at Cobargo this weekend!